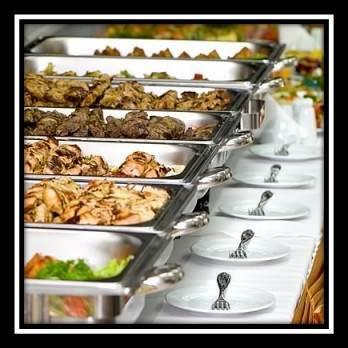 The Roasting Oven & Grill offers a variety of outstanding catering services to suit any of your special events. We are experts in off premise service and cater any function with professionalism and style. Wheather a casual gathering or a black tie reception, our team will work with you to guarantee a spectacular event and ensure your complete satisfaction. A corporate event catered by The Roasting Oven & Grill is like no other. Our fine dining approach to catering presents clients with seasonally inspired menus, prepared to perfection, designed specially for your event. From gala seated dinners to product launches, conferences and holiday celebrations, The Roasting Oven & Grill brings your vision to life. Birthdays, anniversaries, engagements, showers, graduations, or entertaining at home. No matter what the occasion, The Roasting Oven & Grill provides the service your friends and family will remember. We feature an electic mix of venues to accomodate your personal tastes and will assist with all of the details from conception to flawless execution. The Roasting Oven & Grill has been the master caterer to some of the most high profile sport events in the South East. Our fleet of mobile kitchen and portable commissaries accommodate every type of food service operation from high volume concessions and restaurants to formal catering "on the road". Your wedding is a reflection of your personalities and your life together: romantic, happy, fun, stylish, elegant, welcoming, witty. The Roasting Oven & Grill has all the elements - dream location, incredible cuisine, inspiring decorations, impeccably trained staff - to make your wedding a personalized, special celebration for you and the ones you love. Our representative will be with you every step of the way from event planning, menu design and decor to entertainment and logistics.